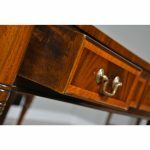 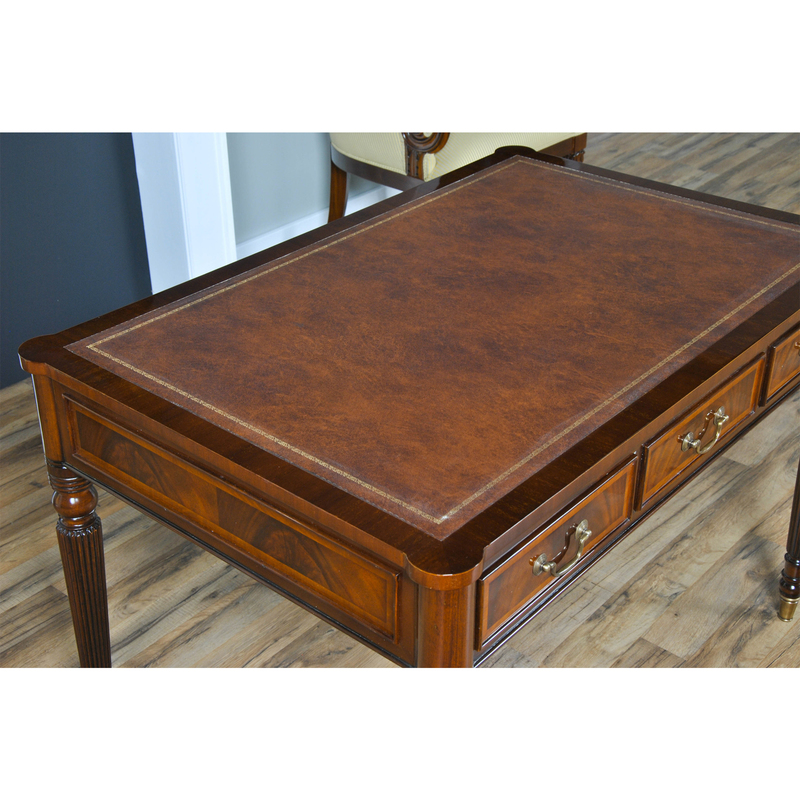 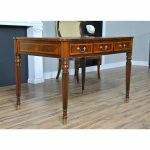 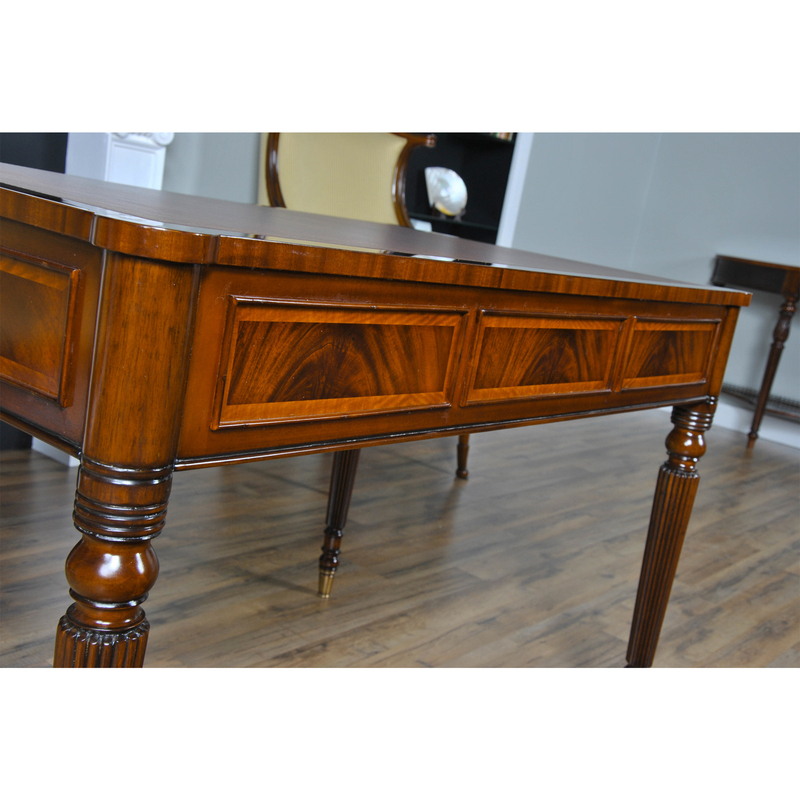 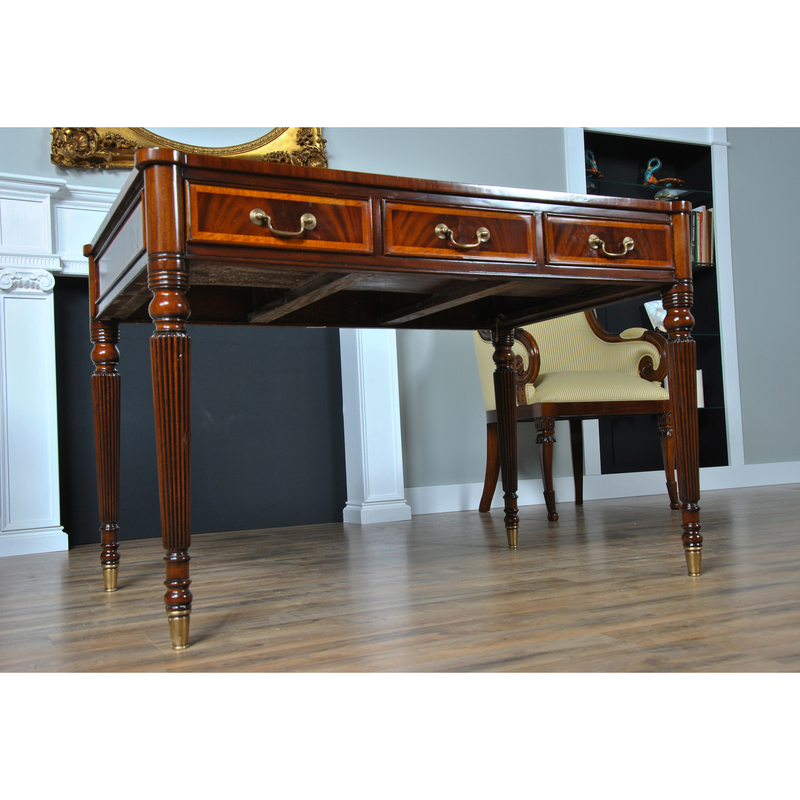 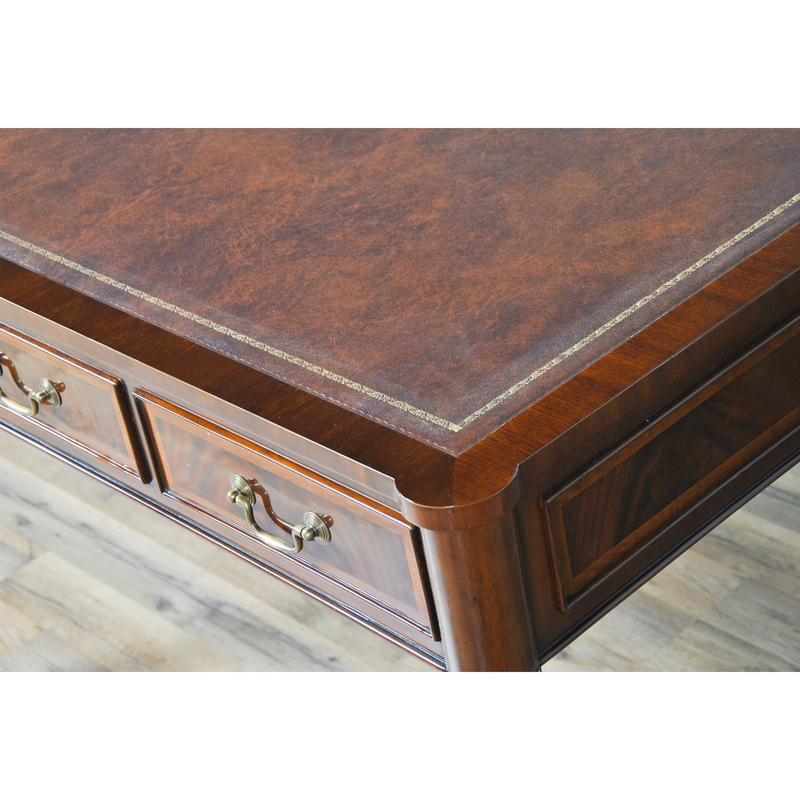 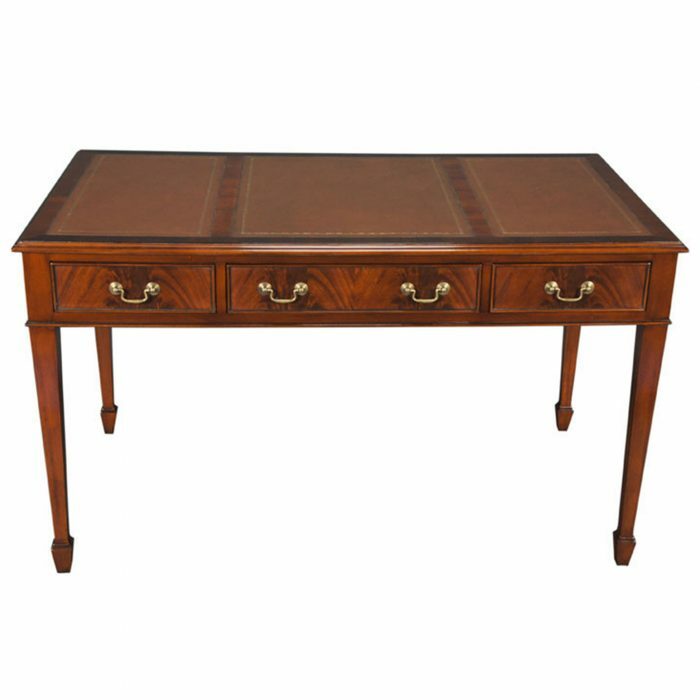 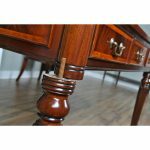 A handsome Sheraton Mahogany Desk from Niagara Furniture. 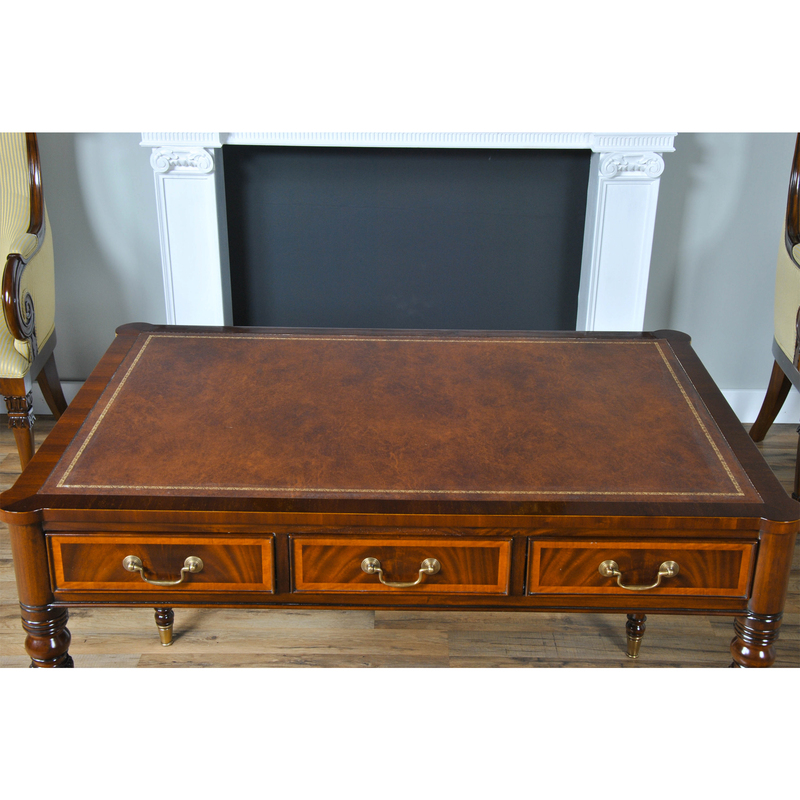 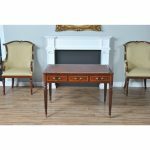 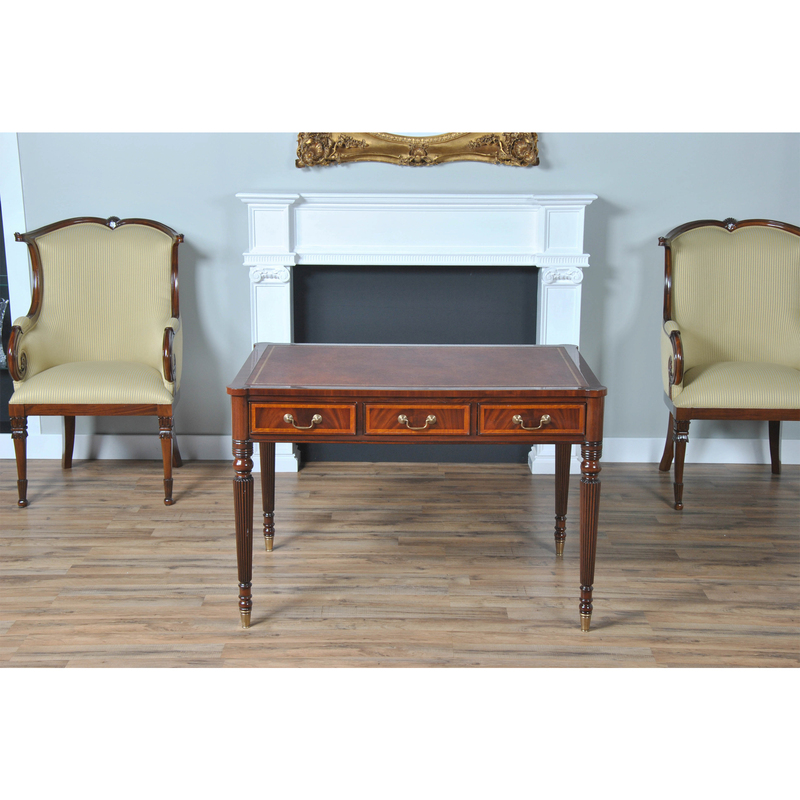 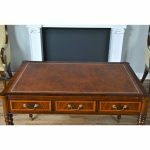 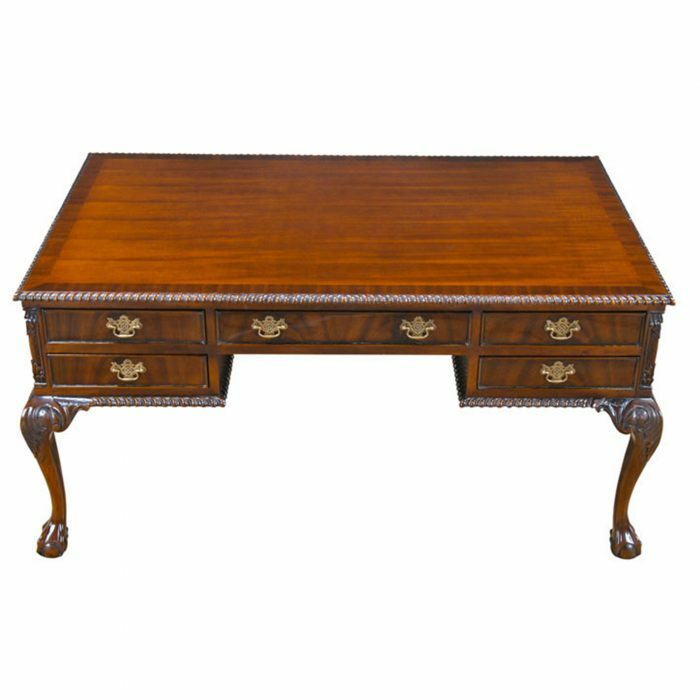 Features include a large brown leather tooled top, made from full grain genuine leather, drawers banded in satinwood, a flat edge profile with rounded corners, three dovetailed drawers and finely tapered, solid mahogany reeded legs which end in fitted brass caps. 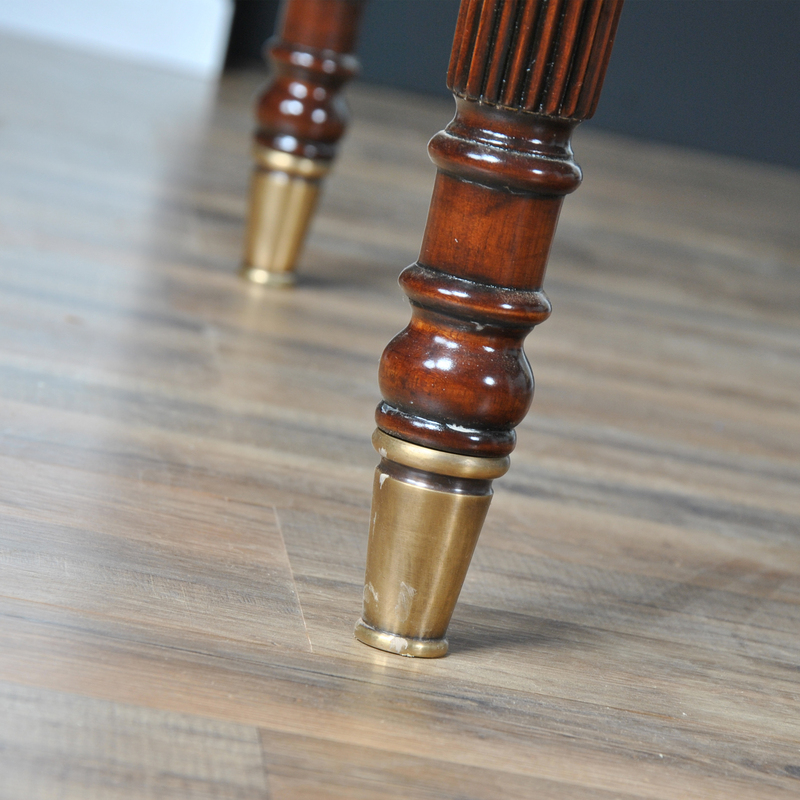 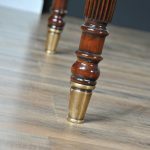 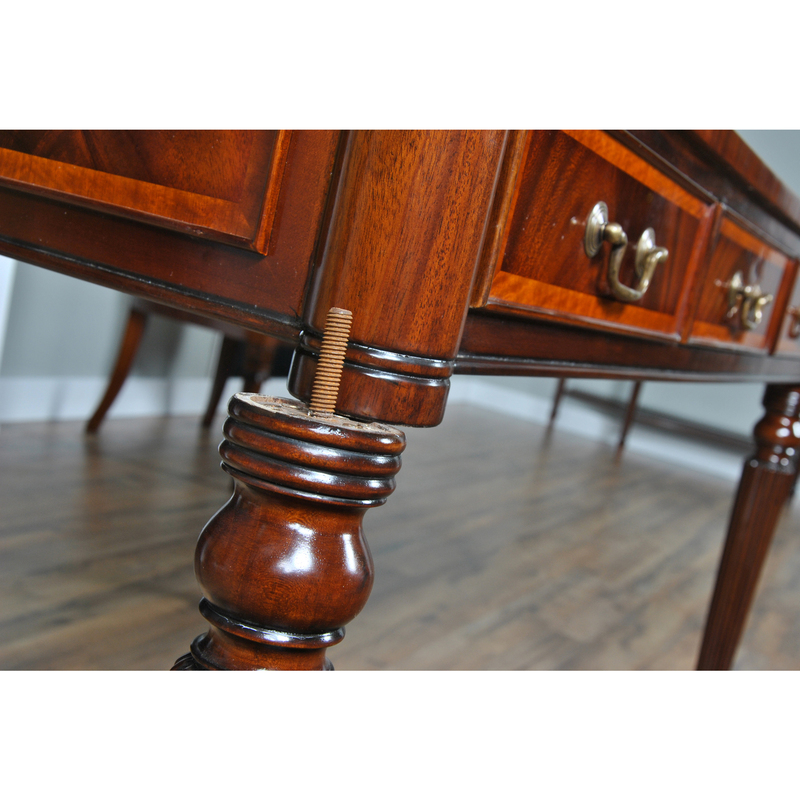 The legs of the Sheraton Mahogany Desk are removable using a simple to assemble metal thread system. 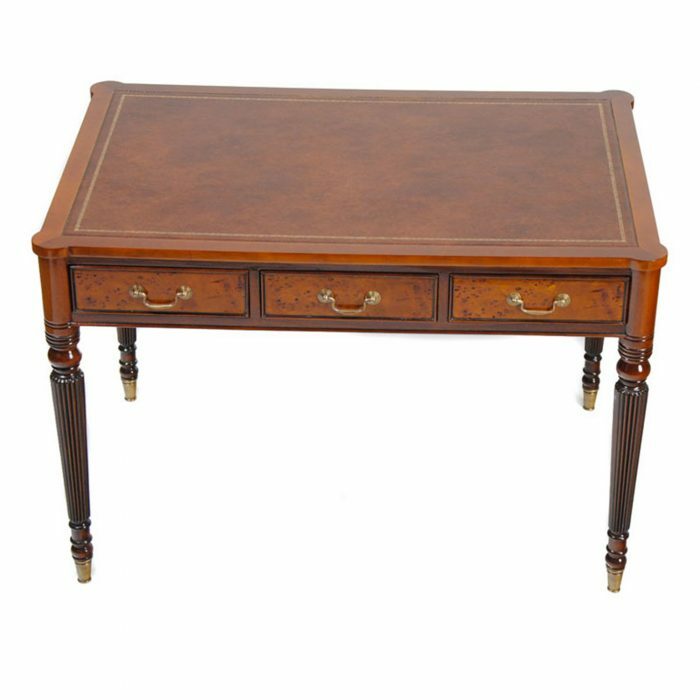 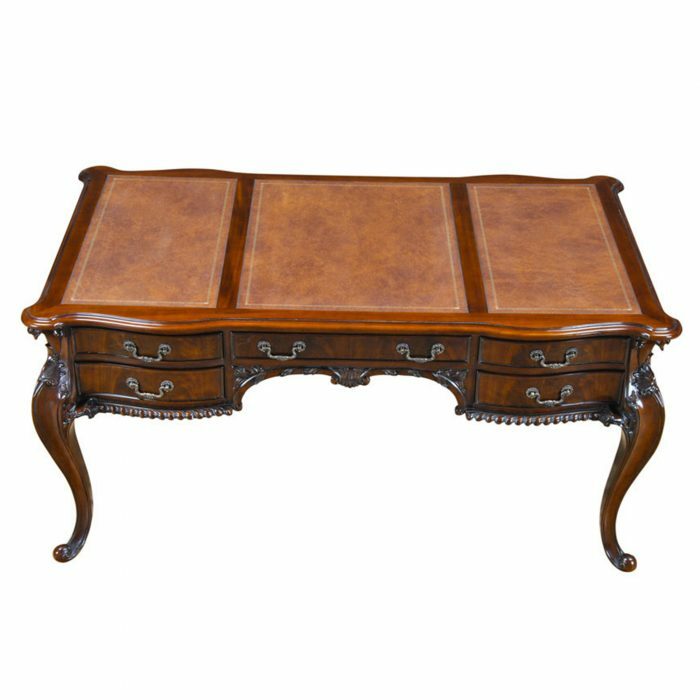 A very beautiful and functional desk with a large work surface, the visitor side boasts figural mahogany veneers surrounded by satinwood and moldings in the shape of faux drawers. 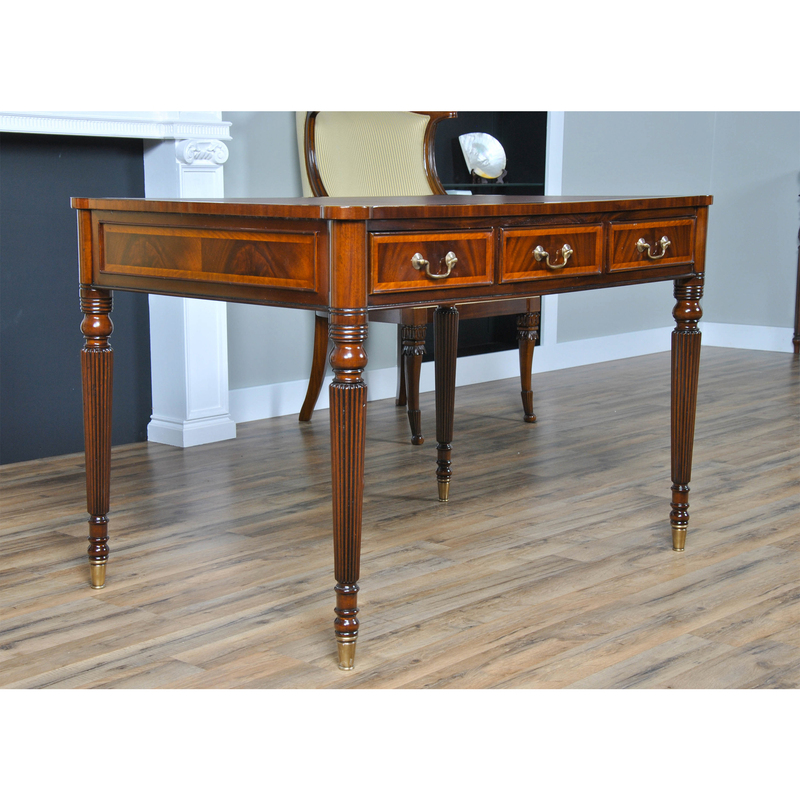 Suited for use in either the home or in the office. 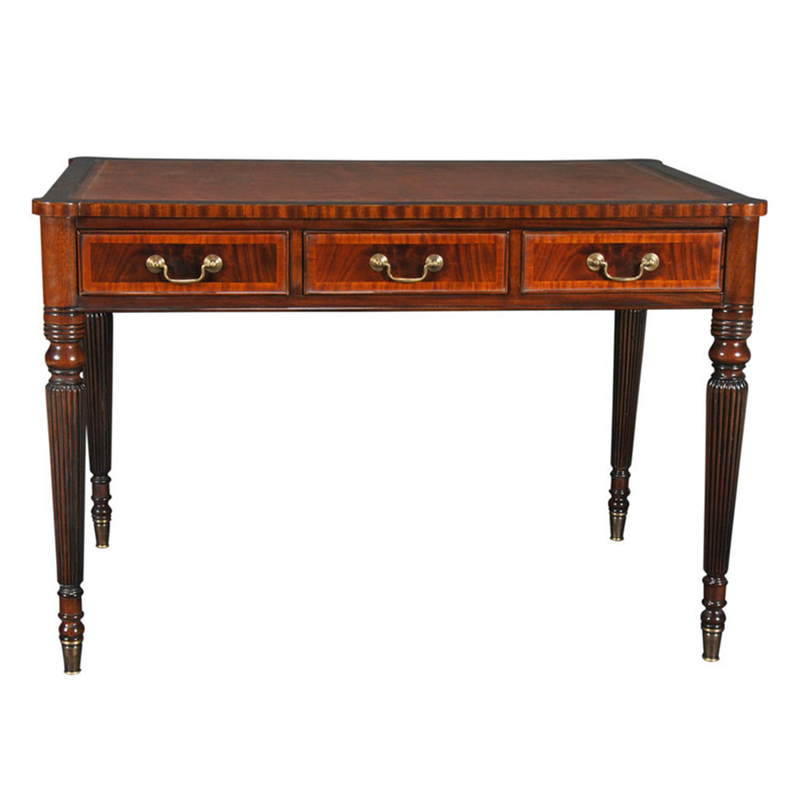 Approximate height to the bottom of the drawer bank is 23.5 inches.